A Personal Cloud and a Private cloud are essentially one and the same, so what is Personal Cloud Storage? Do you want to access your files, documents and images no matter where you are or what device you’re on? Then you need a private cloud or personal cloud. With a private cloud, your data is stored in your private cloud server, so you can access it easily, quickly and securely on any device you choose to use. Whether you’re using a Windows PC, Mac, iPhone, iPad or Android device, all you need is Internet access, and you can log on, in seconds. With the correct software installed and configured by one of our techs, you can even access your files offline, then automatically sync it back to your private cloud when you get back online. Personal clouds and or Private Clouds also serve as great off-site backups, to protect your files from accidental loss. Additionally, they improve security and privacy of your information as well. No longer is your data sitting in someone’s server room, where it could be accessed, stolen or used without your knowledge. Instead, it’s stored securely and safely in your own personal cloud environment. With a personal cloud, you’re in control. You know where your data is at all times, and you control the privacy, safety and security of your data and its backups. Your data is less of a target – especially compared to larger cloud storage solutions – and you don’t have to worry that your third-party storage provider will close its doors and delete your files without you having the chance to get your files back. Do you want privacy and control over your data, rather then putting it in to someone else’s hands? Do you want to avoid the monthly costs associated with cloud storage? Do you want easy and secure access to your files via the internet from anywhere in the world? In Comparison, Is Public Cloud Storage Really safe? Do you have a local backup of your data in case something goes wrong? In many cases, people take it for granted that their data is safe and will always be available, but how do you really know that for sure? What if your third party cloud company closes its doors one day and you no longer have access to your data? What will you do then? What about your data privacy? If your data is on a server in another country (or even just another city), it is subject to the laws of the country the server resides in, and if you think the server will be in the same country that your third party cloud provider is in, think again. Your data could very well be on multiple servers across many different countries, in which case, it is subject to the laws of all these jurisdictions. There are also additional security risks, like the recent Heart-bleed bug that was discovered not too long ago. That flaw in the open SSL standard turned out to be around for a couple of years, undiscovered to the general public. Hackers could easily take advantage of it, and data on big cloud storage servers was the first target. If your data was on your own private cloud in a location of your choosing, you would be less at risk. After all, how can someone hack your server, if they don’t even know it exists? Public Cloud Storage Computing: Approach with Caution! If you think placing your data in to someone else’s hands is a better option, then here are a few things to think about. Do you have local backups of your data? What if your cloud dries up and the company shuts its doors? Where has your data gone to? How do you get your data back and is it even possible? Do you really think your cloud provider has many days or weeks of backups of your data? If yo u truly consider how much you are paying for a public cloud storage solution and how much storage would be needed to have days or weeks of backups for everyone using the service, the math just doesn’t add up. Even though storage costs are amazingly low, the amount of storage required to back-up all the data for each cloud provider client would be astronomical. As such, the reality is that most public cloud providers only store a few day’s worth of back-ups. Plus, having your data on a large cloud makes it a bigger target for hackers. Every hacker out there knows of the various cloud providers on the Internet, and those same hackers know there is a lot of information to be exploited. In today’s digital world, the right information in the wrong hands can be dangerous. By placing your data on a public cloud provider, you are simply making it easy for the hackers to know where to start looking. They won’t know it’s your data – they don’t even know who you are -but they will know of a place they can go online to start hacking. They could stumble on to your data and jeopardize your business, your clients and your profits. A Safer Private Cloud or Personal Cloud Storage Solution Awaits You! At Roadrunner I.T. 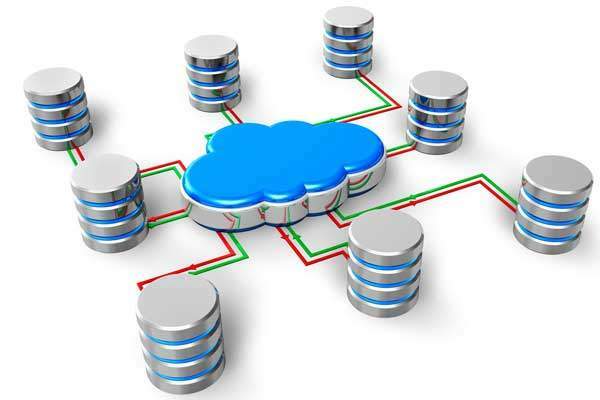 Solutions, we can implement a private cloud or personal cloud storage solution that can handle all your data storage needs. We prefer the The Synology DS1517+ , The Synology DS1817+ or their more recent addition to the small business line up The Synology DS918+ High Performance NAS Server for our small to medium sized enterprise clients, and if need be, we can spec out larger capacity and faster NAS devices. Assuming this is the right fit for your business, we would then spec out the hard drives for your storage needs and budget. Next, we would source out the components you need from the various vendors we deal with, and we’d work to get you the most cost effective price possible. Once you have paid for the purchase and the order is shipped, we will come to your business and set the entire solution up for you. If you want to have offsite backups while using locations of your choice, we can help you with that as well. In the long run, this solution should save you money, particularly when compared with third-party cloud solutions. Remember: Third party cloud providers are in the business of making money, and they make it look like the monthly fees they charge are affordable. If you do the math, however, you will find that it’s usually cheaper to have your own private cloud instead. You know where your data is at all times. You control the privacy and security of your data. You are in control of the safety of your data and its backups. You don’t need to worry about the possibility of a third-party cloud provider closing its doors and no longer having access to your data. You won’t incur expensive monthly storage fees that will constantly go up as your data needs increase. It’s less expensive over the long term. If your internet goes down and you are in the office, your data is still accessible. You have access to your files via the internet when you are not at the office, provided your office internet is functioning. Under certain circumstances, we set up offline file access. You can have most of your files available to you, even when you are not online. When using the private cloud sync function, you can access your files from anywhere, then automatically sync up the differences once you get back online. The moral of the story is simple: a private, personal cloud is the best solution for most businesses. It’s safe, secure, affordable and completely under your control. The best solution is to have your very own private cloud or personal cloud storage solution, instead a public cloud option, since private cloud or personal cloud storage is safer. Having your data at a location of your choosing, rather than in the hands of some mega cloud provider halfway across the world, is simply a safer, more secure option for a modern business. Ready to implement a private cloud at your business? Let Roadrunner I.T. Solutions help. Roadrunner I.T. Solutions offers onsite service to areas such as: West Vancouver, North Vancouver, Vancouver, Burnaby, Coquitlam. New Westminster.